The Christopher Newport University Sailing Team in Newport News, VA, will offer a unique program June 16-23: the Fathom Sailing Leadership Institute, a week-long, affordable immersion course that allows high school students to get a feeling for what life is like as a varsity college sailor. 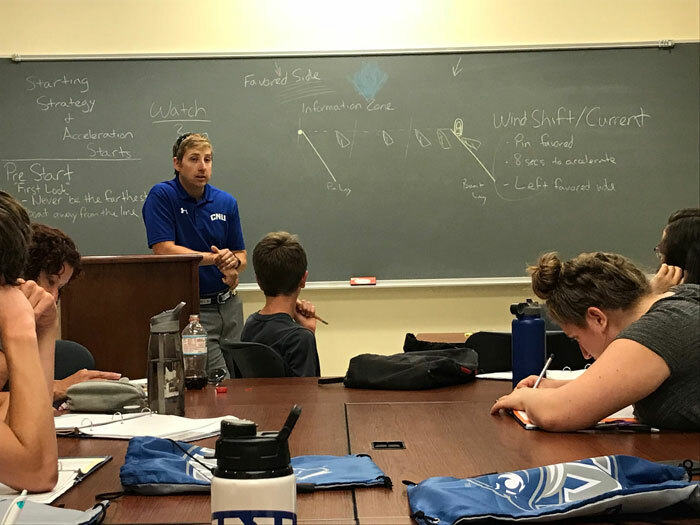 Participants will experience CNU's award winning residence and dining halls while attending a morning session on sailing leadership with CNU professor Dr. Elizabeth Gagnon and every afternoon working on the water in 420s, Lasers, and Sonars with Head Sailing Coach Maxwell Plarr. Each evening, campers will have an activity relevant to the daily topic with Dr. Gagnon or a debrief with Coach Plarr. 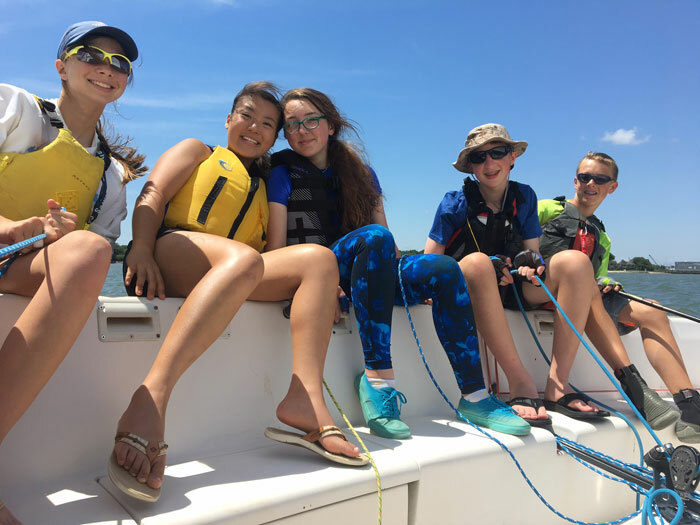 The combination of sailing-focused academic leadership training and physical application is to help high school sailors improve their skills and better understand their strengths so they can achieve personal and team goals. Britton Ward, Farr Yacht Design - Vice President, Senior Naval Architect and Shareholder at Farr Yacht Design in Annapolis, MD. His primary responsibilities include conceptual design leadership and hull shape development of performance sailing yacht and powerboat projects as well as management and implementation of research and development programs. Ward is a former college sailor and graduate ofWebb Institute of Naval Architecture. He went on to receive his Masters in Ocean Engineering from MIT. During his 19 years at FYD, Britt has been an integral part of Farr Yacht Design’s research effortsfor the Whitbread/Volvo and America's Cup programs. Most recently, Britt was lead designer of the new Volvo Ocean 65 One-Design class that made its debut in the 2014-2015 Volvo Ocean Race. Jerry Latell, Ullman Sails Virginia - Jerry Latell owns and operates the Ullman Loft in Deltaville and their annex in Hampton, VA. Latell has been making sails for close to 20 years and employs CNU alumnus Justin Ailsworth and soon to be alumnus, Austin Powers. Latell is the leading loft in the Southern Chesapeake Bay region and has a great relationship with his clients.The team at Ullman Sails Virginia carry a great deal of knowledge in sail clothes, fibers, processes for designing and making sails, and repairs. Lyles Forbes, Chief Curator, The Mariners' Museum - Lyles Forbes grew up sailing in Alabama and was the assistant curator at the Peabody Essex Museum in Salem, MA, before coming to the The Mariners' Museum and Park in 2000. Lyles is in charge of some of our nations most coveted sailing artifacts, including the AC72 Oracle that was donated to the museum in 2017 largely due to Forbes's efforts. It is his vision to make The Mariners' Museum become the premiere repository for modern multihull history. Lyles has a great knowledge of the complex systems and foils on these amazing yachts and will present on the technical side of performance sailing and his experiences in Bermuda and interacting among the elites of our sport. Christopher Newport University’s location near the James River allows for easy access and an amazing open-water venue for practice. CNU's Sailing Center offers locker rooms, classrooms and has a fleet of 18 T420s, as well as FJs, lasers, and assorted other dinghies, RHIBs, and skiffs. Conveniently located adjacent to the university is the Mariners’ Museum, the national maritime museum, and home to the largest collection of maritime artifacts in the Western Hemisphere. 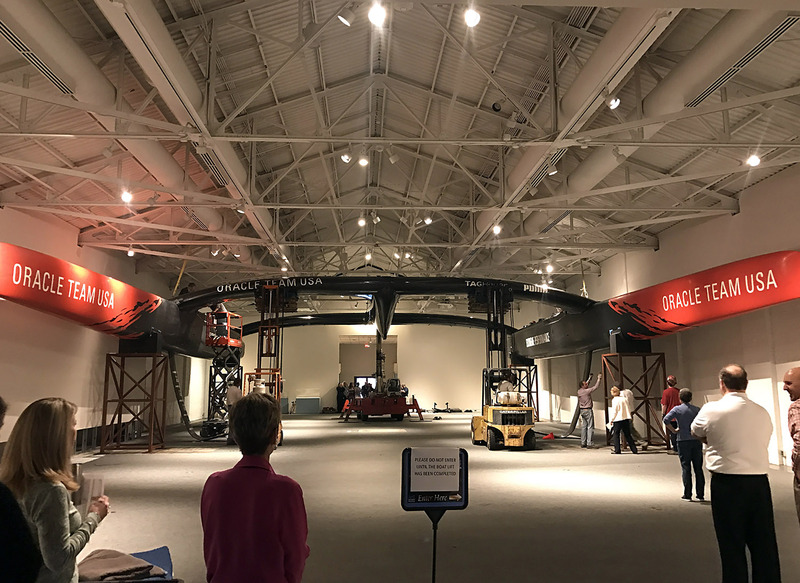 The museum debuted a new America’s Cup exhibit in May 2017 to include Oracle Team USA AC72, winner and defender of the 34th America’s Cup. A behind-the-scenes tour of this special exhibit will be part of the Fathom program. Fathom would not be possible without the help and vision of the Tyler Patnaude Foundation.